We face the consequences of junky, disorganized, overfull houses every day. Anyone from a young professional with limited time to a retiree who can’t muster the energy to discard broken appliances can suffer from possession overload. Owning too many possessions can disrupt daily life, leading to dissatisfaction, distraction, and even depression. But while the mental ramifications of owning junk builds up over time, the physical health concerns develop more quickly. Mr Junk recently cleaned out the home of an elderly man who owned more possessions than he could keep up with. 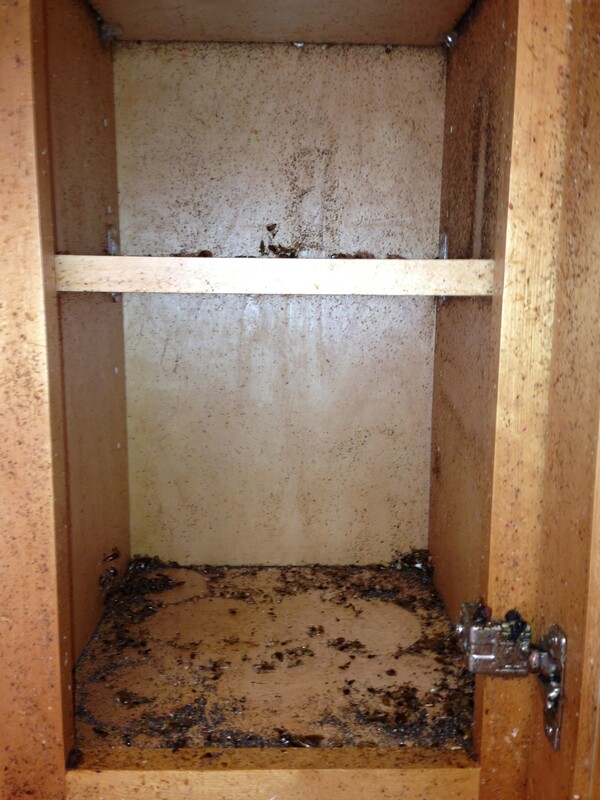 Because of his inability to clean efficiently, the cabinets, corners, and furniture were filled with roach dust. Because of the pervasiveness of the affected area, we cleared all junk from the premises before sweeping corridors and counters of the thick, black dust. We removed surface-level evidence of the infestation, allowing the scheduled cleaning company to sanitize the home while we donated and recycled the majority of the hauled items. Roach dust accumulates from cockroach infestations. Cockroaches crawl through cracks in your windows, holes in your home exterior, and open doorways, eating crumbs and tainting your food supply. Apart from deteriorating the cleanliness of your home, cockroaches are a common allergen. Those suffering from cockroach allergies might experience itchiness, dry eyes, or difficulty breathing. While physical contact with roaches generally provokes an instantaneous reaction, poor indoor air quality from cockroach dust and other contaminates often affect people who suffer allergies. 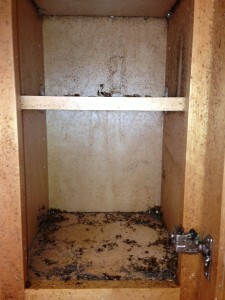 The best way to avoid bugs and roach dust is to prevent them before they infiltrate your home. If you don’t have the time or energy to clean cluttered closets and attics full of furniture, sort through your stuff and let Mr Junk haul away items you no longer use. If you reduce the number of dark, dirty spaces for insects to burrow, you reduce the risk of attracting them to your home. Overhaul your home, removing possessions you no longer need, to make your life easier to maintain . . . and keep the bugs from coming back. Call Mr Junk to haul away deteriorating furniture, broken appliances, and boxes of unwanted junk.